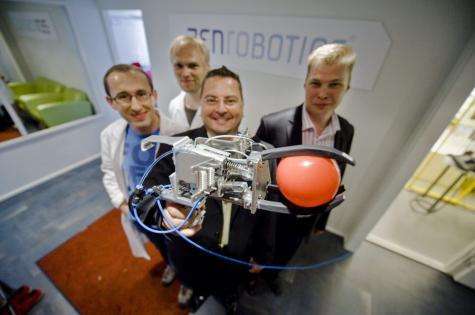 (PhysOrg.com) -- The Finnish firm ZenRobotics has designed and built a robot that can sort through construction waste and pluck out recyclable material moving by on conveyer belt and then deposit it in an appropriate bin. The robot is currently able to correctly identify roughly half of the material it processes, which may not sound that impressive, until you consider that as things stand now, nearly 100% of such construction waste now winds up in landfills, un-recycled and polluting the planet. The as yet unnamed robot is basically an arm with a gripper connected to a computer and uses various already proven technologies to perform its task, such as metal detection, weight measurement, 3-D scanning, tactile feedback and spectrometer analysis to measure light waves bounced back off of different materials. Its easy to see how new measuring devices could be added as they become available, especially when you consider the massive amounts of money already invested by various space agencies for probes sent to space to do essentially the same thing as they investigate planets, comets, etc. This type of work is groundbreaking due to the fact that robots have been traditionally relegated to performing more easily definable tasks, such as repeatedly welding two pieces of metal together. To separate good trash from the bad, however, a robot must first be programmed to recognize very basic materials, and then to learn as it goes, by doing, i.e. it must have some degree of artificial intelligence. 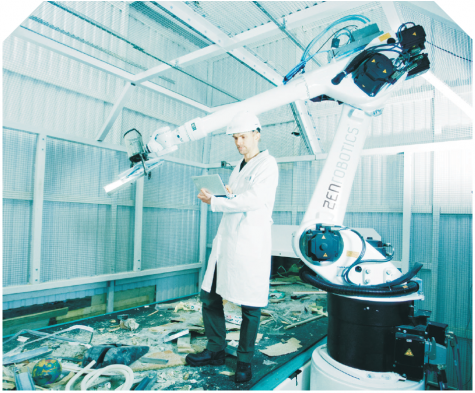 In the current setup, construction waste is deposited onto a conveyer belt where it is carried into a processing room where the robot resides. The robot reaches down and grabs stuff off the conveyer, analyzes it, and if it recognizes what it sees, drops it into a nearby bin marked for just that type of material. Anything not recognized stays on the belt and is deemed trash. Currently, the robot is able to identify certain types of plastics, metals, concrete and wood. 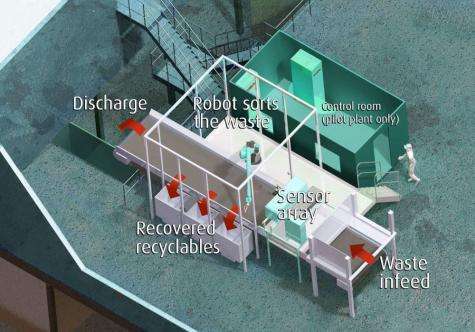 Using such a robot would not only help to recycle construction waste, which some believe accounts for up to half of all landfill material, but would be able to do so in an environment that oftentimes is hazardous to humans due to the wide mix of sometimes toxic materials that arise when buildings are being built or torn down. "Waste. Humanity turns to Waste. Waste is killing the planet. Waste." LOL! Seriously, though, could have decent market potential.